This is the final week with the five hindrances. The five hindrances are common mental states that arise in our practice and lives that can impede our practice. They have been observed and taught as part of Buddhist studies. Naturally, as human beings, we become identified with these visitors and we take them personally. We think we are right or wrong, good or bad depending on who is showing up at our house on any given day. When we see ourselves as bad and horrible, these states pull us in and distort our perception and make us stuck. However, they are not personal, they are normal things that happen to us as human beings. Sharon Salzberg says doubt arrives saying, “I’m the deepest truth you’ll ever know,” and that it takes discernment and the process of discernment to know the truth. We need to give our practice time, evaluate our practice and see what we are receiving from our practice physically, mentally, emotionally, energetically and spiritually. When we can bring this level headed, calm assessment and continual evaluation to our practice we can turn doubt on its head. 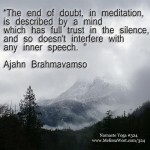 One area that doubt may arise is in your asana or yoga posture practice. 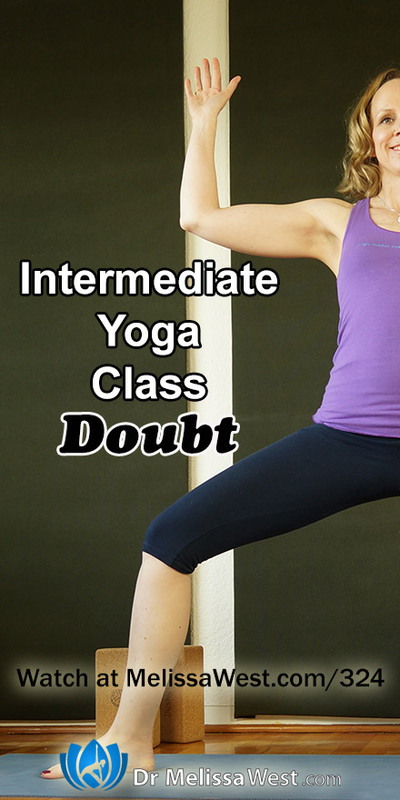 You may doubt you can “do” a certain yoga posture. When that doubt arises, you can ask yourself, “Is that true?” Have a willingness to experiment fully with the doubt that arises. This process of investigation to see for yourself may take the form of trying a modified and safe for you version of the yoga posture. Even if you cannot practice the physical posture, is there a way that you can stay engaged with the teachings mentally, emotionally, and energetically, by finding a modification and staying connected with your breath? Thank you for your donations Peige, Hannah, Leah, Eva, and Joshua. 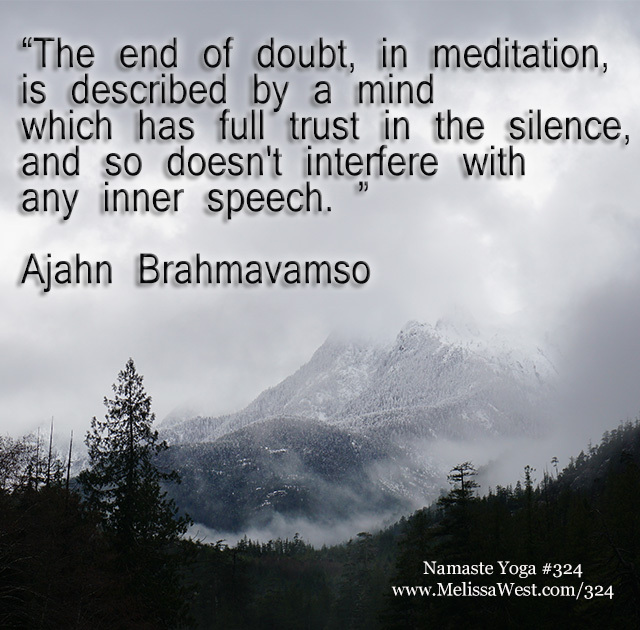 Today’s question to answer in the comments is: Where does doubt creep up in your practice or life? If you would like a list of the antidotes to the five hindrances enter your email address below and I will send you a list of the 5 hindrances and their antidotes. If you would like more support in building strength like we did in today’s yoga class then I would highly recommend our Strength Building Series in our Membership Community. This seven day series is designed to help you build strength in your body each day of the week. Monday you will focus on your core, Tuesday back, Wednesday chest, Thursday biceps, Friday triceps, Saturday shoulders and Sunday glutes. Each day we will create a fusion of yoga inspired poses and the best of strengthening exercises. In each and every class you will be strengthening your lower body while working your upper body.